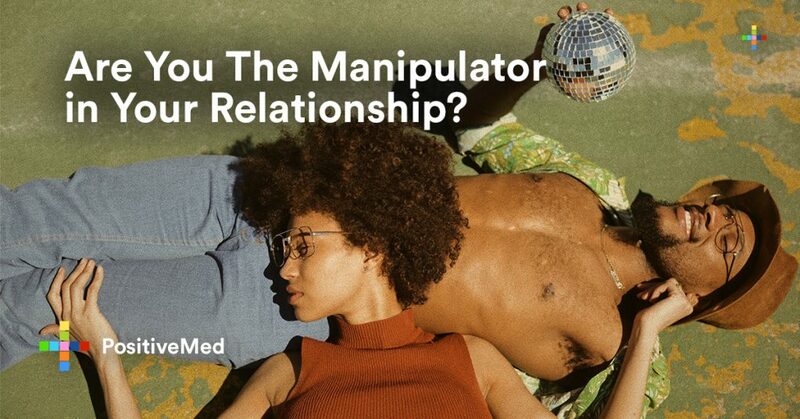 Home Lifestyle Relationship Are You The Manipulator in Your Relationship? Is it your way or the highway? Your partner may have been drawn to your bold, confident personality, but your way with words and unwavering nature could be ruining your relationship. Manipulation is the act of saying or doing certain things to get people to think and behave exactly as you want. Manipulators often believe that their way is the best. In their minds, if others would just listen to them, everything would be fine. In a healthy relationship, couples accept differing opinions and find a satisfactory compromise. While, In a manipulative relationship, one partner always winds up changing their mind, in the end, to make the other happy. Why do people manipulate others? It could be because you come from a past of unhealthy relationships that made you feel small and helpless. When you finally gained independence, you were standing on your own but still felt like the same vulnerable person inside. The vulnerability is a wonderful thing; without being vulnerable, we cannot form close, long-lasting relationships without it. The vulnerability is a double-edged sword to a manipulative person. It’s a weakness in themselves and an exploitable asset in their partner. At the core of a manipulator is a scared person who fears they are unlovable. While some people who feel this way tend to be insecure and anxious in relationships, others will use manipulation to mask their insecurity. Rather than trying to mend their wounds, they hide them with bravado and false confidence. Manipulation allows people to control rejection. Everything is on their terms, so they never feel subjected to the will of someone else’s opinion. Do you shy away from listening to your partner’s honest opinion on things? You may feel like if they don’t have something good to say, they shouldn’t speak at all. You may brush them off as being ridiculous, unreasonable or even stupid. If you looked more closely, you may notice that you avoid listening to them because you’re afraid of what they’ll say. A contrary or negative opinion to a manipulator is like a personal blow. Anytime their partner disagrees with them or doesn’t do what they want, they feel rejected. Instead of acknowledging that each of us is unique individuals entitled to our own free will, a manipulator defends a soft, wounded ego that needs to be nurtured at all times. There’s a caveat, though. Manipulators will never truly feel loved. If you have to force someone’s hand or wear them down to get what you want, that is not loved. Love is a choice. Love is made every single day, and true love does not vanish in the presence of natural emotions like anger or sadness. The best way to stop manipulating a partner is to start working on yourself. You may have become manipulative as a defense mechanism. Perhaps you had parents who made you constantly question or doubt the legitimacy of your thoughts and feelings. You may have been manipulated in the past and vowed to never let that happen again. You long to be loved, but you’re afraid to trust someone. In order to heal and enjoy the warmth, comfort, and fulfillment of a healthy relationship, you must first address the insecurity and fears that are rooted deep inside. Speaking to a therapist is a good way to begin your transformation into a more kin, more accepting person, starting with yourself. Next articleCan You Get a Yeast Infection in Your Mouth?